We have been talking all about Box Tops for Education in our house and the BONUS Box Tops that can be found at Walmart. 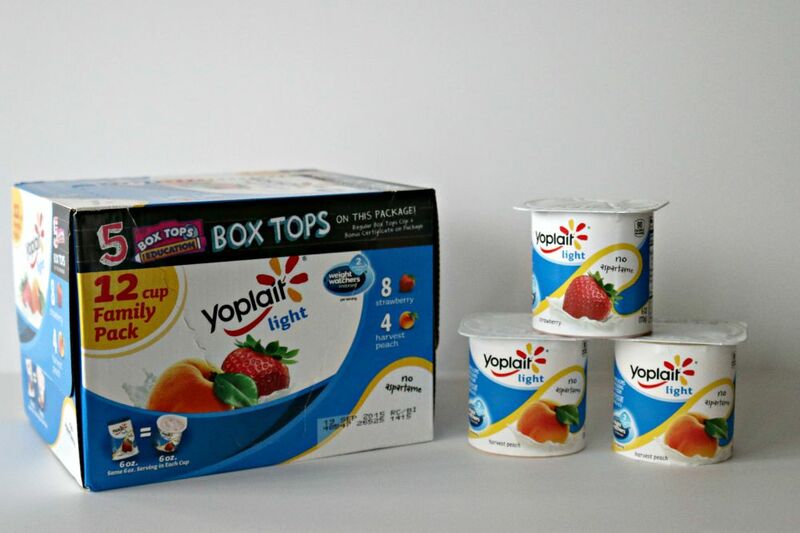 You can earn .10 per Box Top for your school, that’s like free money! After picking up our products, my son was thrilled to get home and start clipping. We started a new school this year and while both kids were excited, my oldest was a bit nervous too. Collecting Box Tops opened the door to a great conversation about my son’s first week at his new school. He talked about the new kids he met, his favorite subjects and all the different things he was looking forward to this year. It also led to a conversation about giving back and blessing those around us including our school. 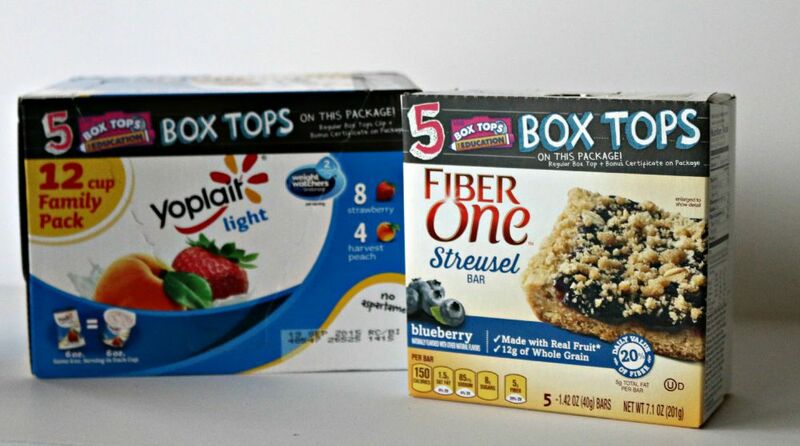 Box Tops are a perfect way to give back using items you likely purchase on a weekly basis. Of course, about halfway through the clipping process someone had to stop for a snack break. My son had fun spotting BONUS Box Top products for school lunches and other treats. Many of the products we purchased were for his brother’s lunch this week. He thought they would make for a great surprise. 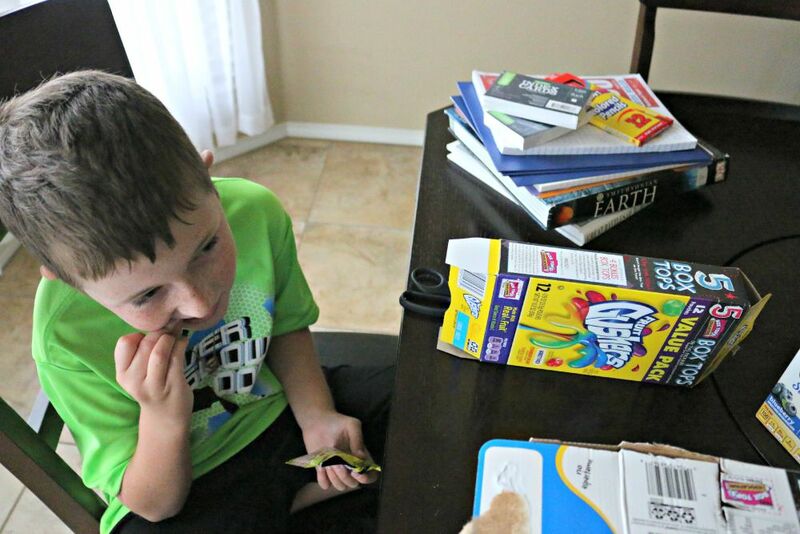 Collecting Box Tops can be a family affair, my kiddos can spot the products and come home and clip them. Then, we can take them straight to school for free money. It doesn’t get easier than that! 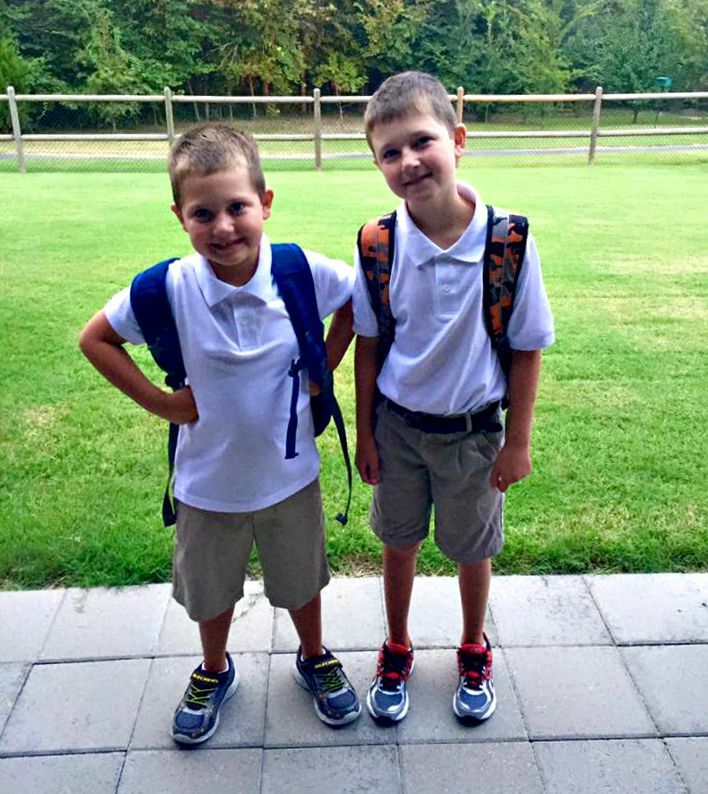 This year, we began a new school year at a new school. It was a big adjustment but both of my kiddos were happy and excited! Our new school collects Box Tops for Education. I’ll admit, while I’ve heard about the program and knew a little about it, I have never collected Box Tops on a regular basis. Box Tops are worth .10 at your child’s school, that is free money for your kids! I’m all about saving money and earning money, this is a great deal and there’s no reason not to clip them! 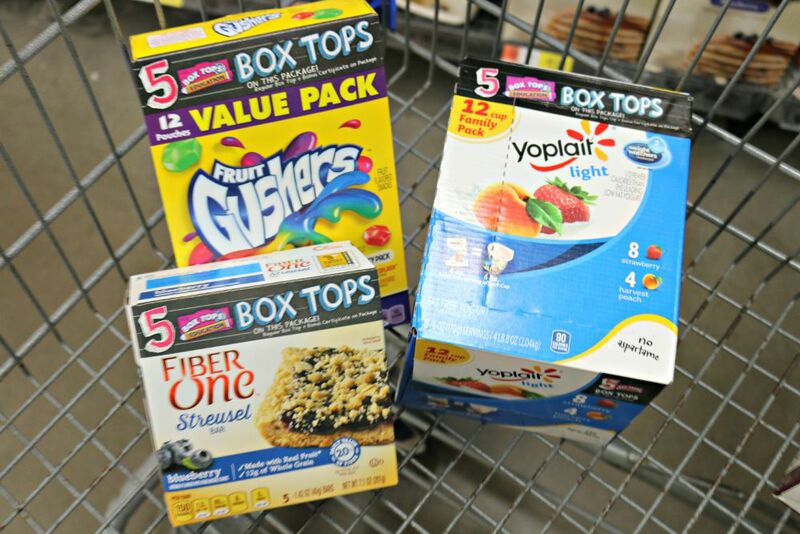 Plus, right now, you can get BONUS Box Tops on specialty marked products at Walmart. 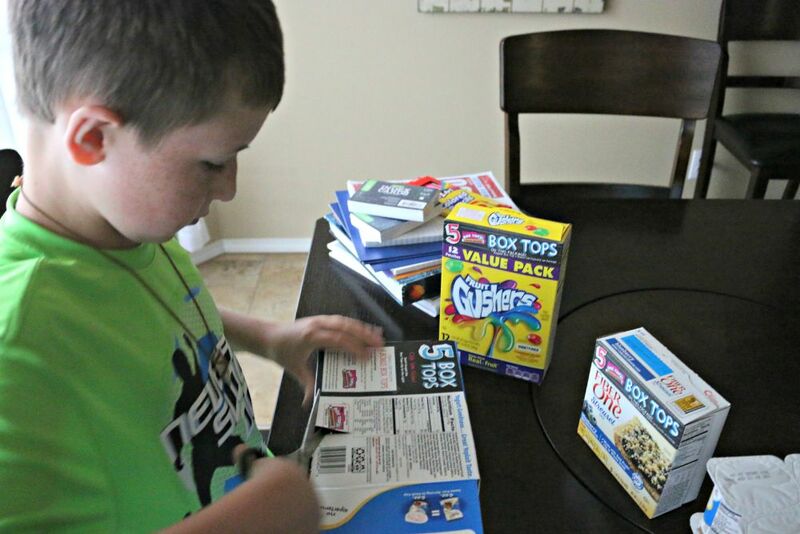 My oldest son had a great time finding the BONUS Box Top products, we also discussed their use so he could learn why they are so important. Box Tops is America’s largest school earning loyalty program with over 80,000 k-8 schools participating. 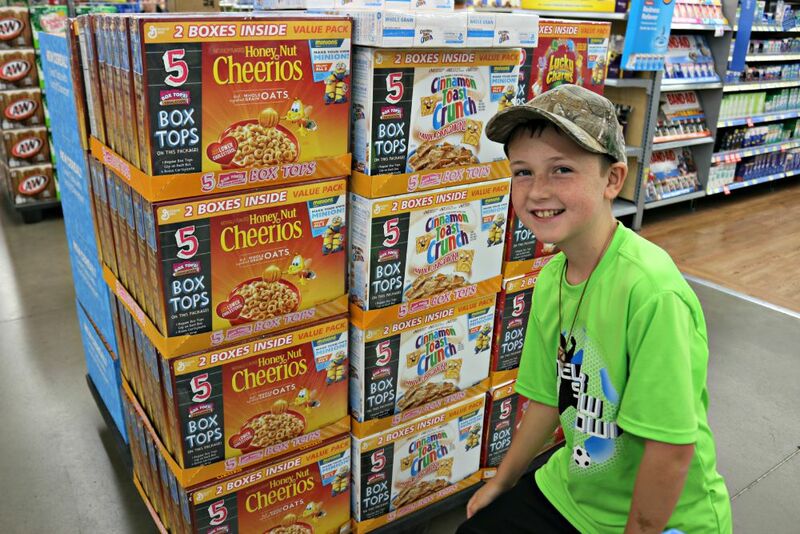 Everywhere we went, my son found more BONUS Box Top products! 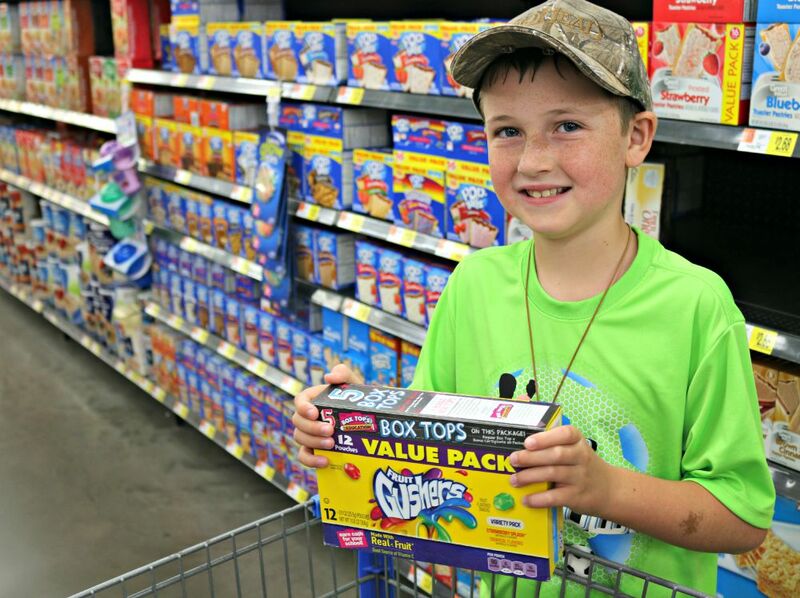 Schools can use the money raised by the Box Top program for anything they need. If your school does not have a Box Top program, start one! 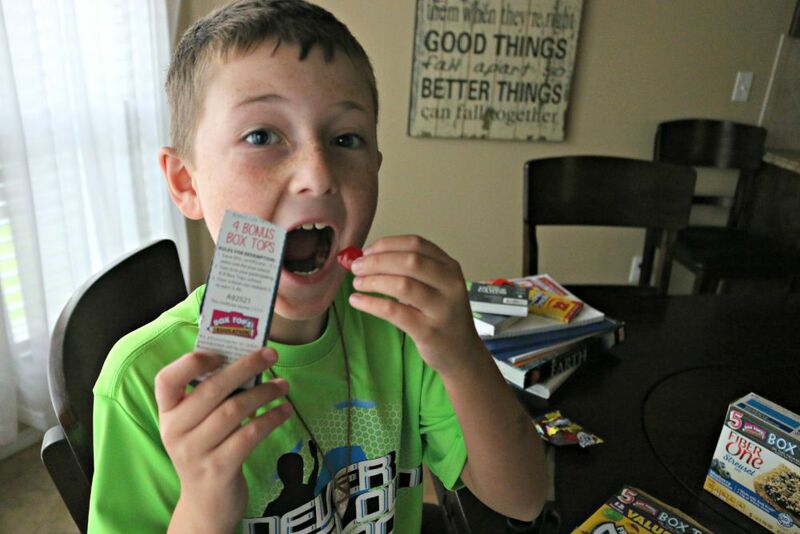 Collecting Box Tops is easy and it is free money for your school, you can’t beat it. My son was excited to pick up our products and start clipping! Box Tops is all about giving back and that is important to our family. The Box Top program has given more than $525 million to participating schools since its launch in 1996. That is HUGE! Don’t miss out, start collecting Box Tops today!